My true love gave to me, a Quills magnetic bookmark. 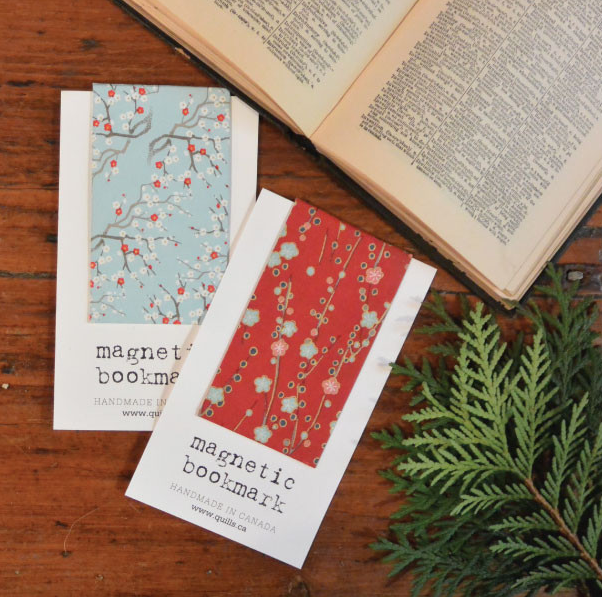 I've included magnetic bookmarks by Quills, a Hamilton stationary company, in my #HamOnt gift round-up in the past. I don’t want to be repetitive, but these beauties are still my favourite thing to put in a stocking, gift alongside a book, or to slide into a Christmas card. They’re beautiful, but they’re also so practical, making it nearly impossible to lose your page. (Keep in mind, this post is by someone who often uses credit cards and train tickets as a bookmark, which is NEVER a good idea). Jordan and I went our separate ways at Hamilton’s Maker’s Market a few weeks ago, but I made sure to call him back to the Quills’ booth because pretty much everything is on my wishlist. I already have a few Quills’ Scrabble necklaces, but this year they’ve made letterpress block necklaces, and they’re stunning. Quills is currently located in the Rock Castle (95 Arkledun Avenue). (It’s the probably haunted but beautiful building you see while driving up the escarpment.) You can visit by appointment only, but the magnetic bookmarks are available throughout the city, including at Epic Books.